Portage Bay, the body of water, is the northeast end of Lake Union, connected to Lake Washington's Union Bay by the ship canal. 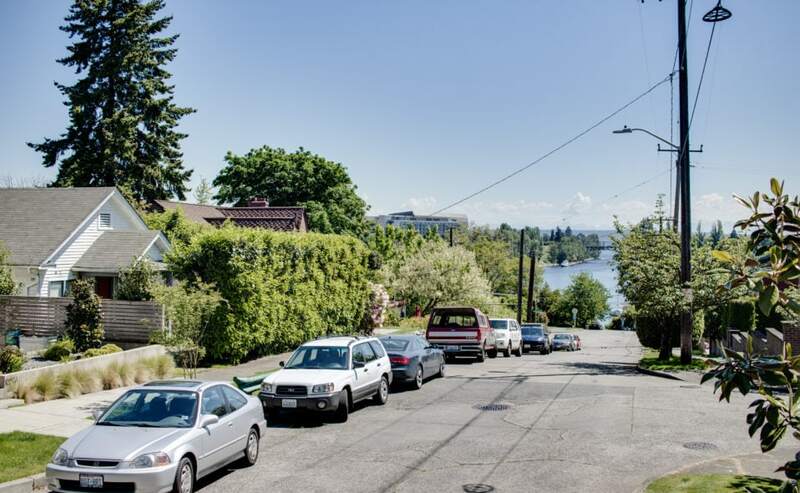 Portage Bay, the neighborhood, looks across this small expanse of water toward Montlake, the University District and the Cascades. Its wooded slopes are lined with quiet residential streets, while its shores provide calm waters for its large enclave of houseboats. The Flower Lady: Full-service family-operated florist for bouquets & centerpieces plus gifts, cards & baskets. Queen City Yacht Club: Offering members a myriad of activities, including social functions, junior summer sailing school, and participation in community events. Roanoke Park: Compact, urban green space with fruit trees, a children's play area & a small basketball court. Sebi's Bistro: Hip destination for Polish & European eats from pierogi to pizza with a bar & Polish beer on tap. Old School Iron Works: Mind-blowing cocktails, amazing beer & liquor selections, gourmet, affordable, comfort cuisine, entertainment, & the best “old school” crew in town.